In the two hundred years since we discovered that microbes cause infectious diseases, we've battled to keep them at bay. But a recent explosion of scientific knowledge has led to undeniable evidence that early exposure to these organisms is beneficial to a child's well-being. Our modern lifestyle, with its emphasis on hyper-cleanliness, is taking a toll on children's lifelong health. 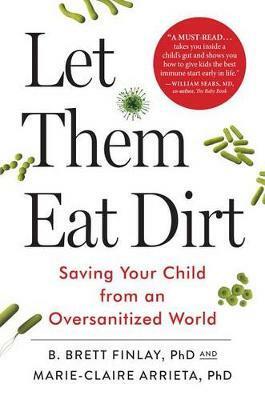 In this engaging and important book, microbiologists Brett Finlay and Marie-Claire Arrieta explain how the trillions of microbes that live in and on our bodies influence childhood development; why an imbalance of those microbes can lead to obesity, diabetes, and asthma, among other chronic conditions; and what parents can do--from conception on--to positively affect their own behaviors and those of their children. They describe how natural childbirth, breastfeeding, and solid foods influence children's microbiota. They also offer practical advice on matters such as whether to sterilize food implements for babies, the use of antibiotics, the safety of vaccines, and why having pets is a good idea. "What a triumph. This book should be read by every pregnant woman, every parent, every pediatrician. It's not just a great read but terribly important." --Professor Margaret McFall-Ngai, Member of the National Academy of Sciences and Director of Pacific Biosciences Research Center, University of Hawaii.